Per the rules of the internal marketing of cocoa, COCOBOD has allocated Seed Fund to deserving Licensed Buying Companies for cocoa purchases. To ensure the safety of public funds, individual LBCs are required to submit bank guarantee to access the Seed Funds to make prompt payments to the farmers for cocoa purchases. Per the recommendations of the Producer Price Review Committee (PPRC), COCOBOD, within thirteen days reimburses individual LBCs that deliver cocoa to our three Take-Over Centres the full value (producer price, buyers’ margin and evacuation) to allow the companies to return the cash to the field for cocoa purchases. By these arrangements, LBCs operating without any challenges with their bankers should NOT encounter difficulties in accessing the funds from their bank accounts to make prompt payments for cocoa purchases. There are over 30 LBCs involved in cocoa purchases this season of which PBC is a part. 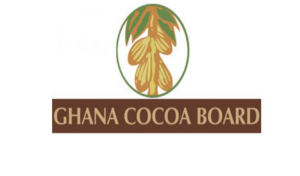 PBC submitted bank guarantees up to GH¢390 million which qualified them, and COCOBOD duly released the GH¢390 million to the company at the beginning of the 2018/19 season to pay cocoa farmers. In total, PBC has been allocated GH¢687 million for cocoa operations. This amount is sufficient to purchase 90,523.07 tonnes of cocoa. However, since the 2018/19 season opened, PBC has reported purchases totalling 67,567.31 tonnes. PBC therefore has sufficient funds that can purchase additional 22,955.76 tonnes. Per our records, PBC has disbursed GH¢330 million of the initial GH¢390 million for cocoa purchases. An outstanding amount of GH¢60 million released on 30th October 2018 remains unaccounted for by PBC. From the foregoing analysis, without any challenges with their bankers, the PBC should possess the financial capacity to pay cocoa farmers without delays. As our mandate to protect the public purse demands, COCOBOD is obliged to ensure safer disbursement of the Seed Fund. We shall not disburse Seed Funds without a security. To enable the LBCs that encounter difficulties in securing bank guarantees to access Seed Funds, we have concluded arrangements with the insurance commission so that qualifying insurance companies can step in and assist other companies with seed fund guarantee. As a professional research agency, CSS should have contacted COCOBOD for the facts to avoid telling untruths to the general public. Such untruths only succeed at creating unnecessary tensions. We do not invest monies earmarked for cocoa purchases with the banks. Currently, we have sufficient funds to pay for cocoa purchases from the farmers. We call on individual LBCs to maintain good working relationships with their banks and ensure that Seed Funds paid into their bank accounts are used to pay for cocoa purchased from farmers. COCOBOD is available to respond to public enquiries concerning the internal cocoa marketing and other operational areas of the industry. We wish to assure our cherished cocoa farmers and industry stakeholders that their interest will always be protected. COCOCOB has well thought out strategies to ensure that all cocoa bought will be paid for and the loan paid according to the agreed schedule. The post $650m syndicated loan not invested at the bank – COCOBOD appeared first on Citi Newsroom.